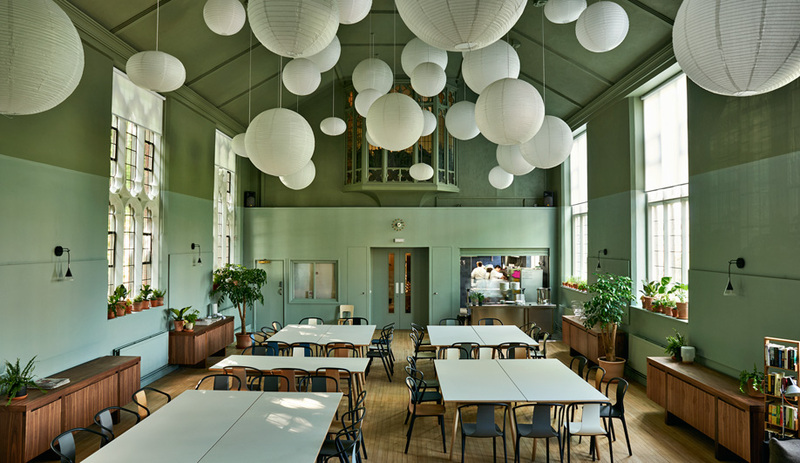 In southwest London, St. Cuthbert’s community centre has offered a refuge for the city’s most marginalized inhabitants for over 25 years: a place where the homeless, low-income families, refugees and other people in need can drop in for a hot lunch, among other services. 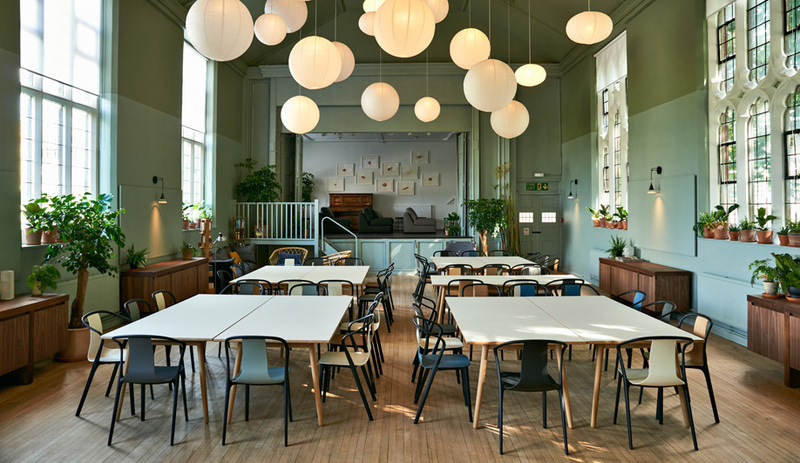 Now, thanks to some help from the international food and design communities, Earls Court boasts Refettorio Felix, one of the most welcoming community kitchens around – including an inviting interior by Ilse Crawford’s Studioilse. 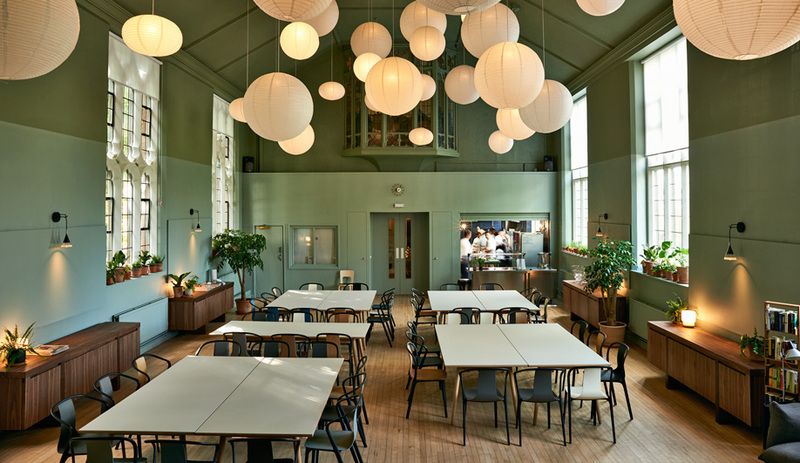 Housed in a section of St. Cuthbert’s, a beloved arts-and-crafts-style church erected late in the 19th century, Refettorio Felix includes a professional-grade kitchen, and a dining room setting overseen by Crawford’s local studio and Charles Wainwright, of Dust Architecture. 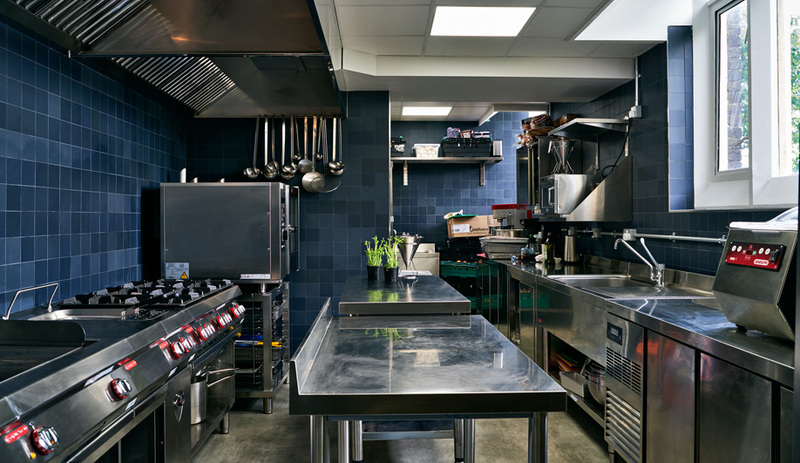 The project began with Michelin star chef Massimo Bottura’s nonprofit Food for Soul, an organization that fights food waste by bringing together industry professionals to establish and run community kitchens. 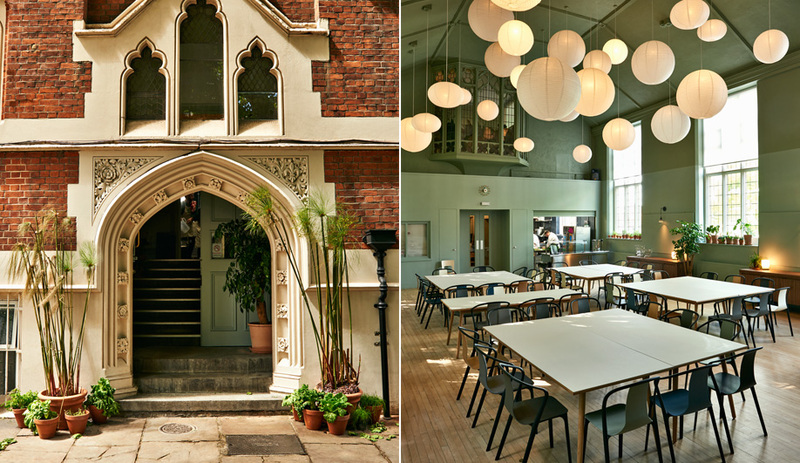 St. Cuthbert’s is Food for Soul’s third refettorio, following openings in Milan in 2015, and Rio de Janeiro in 2016. 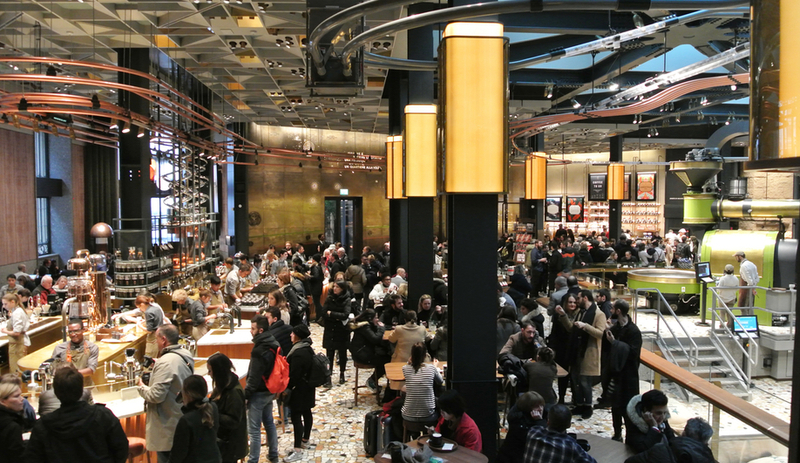 Refettorio Felix derives its unusual name from the Italian word for “refectory,” or dining hall, and The Felix Project – a local organization that collect surplus food from supermarkets, wholesalers and other food suppliers, and redistributes it to local charities. 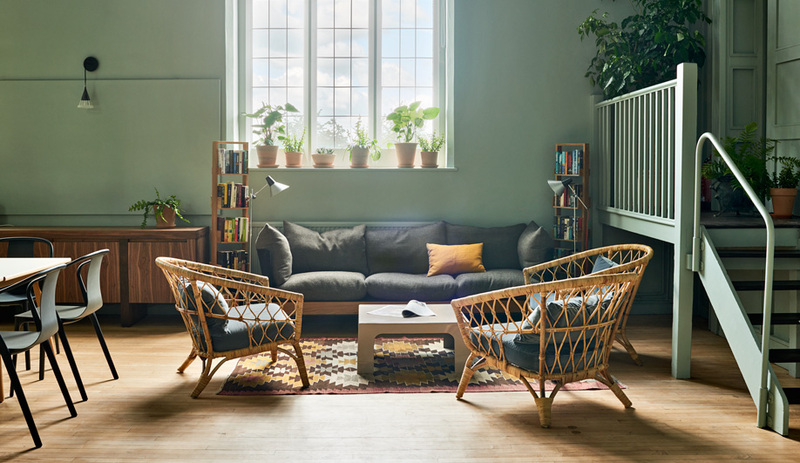 Beautiful, high-quality furnishings are a potent way to add prestige to the kind of space where design is typically an afterthought, if it’s thought about at all. 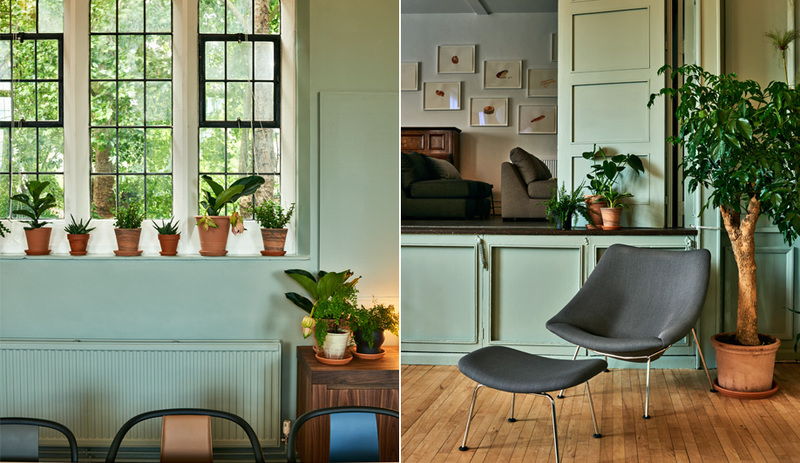 So it’s especially cheering to see David Chipperfield’s conical Vigo sconces for Artemide suspended from the walls, warm and colourful kilim rugs from Larusi, Lucy Kurrein’s plush Teepee sofa for SCP, and a pair of Riccardo Arbizzoni’s hardwood-topped Levistico sideboards for Riva 1920. 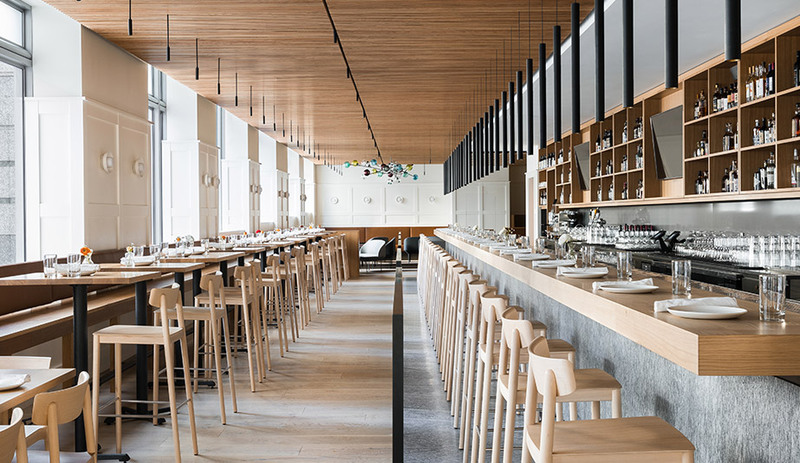 For the dining area, Vitra donated five dozen Ronan and Erwan Bouroullec-designed Belleville chairs from their own cafe. 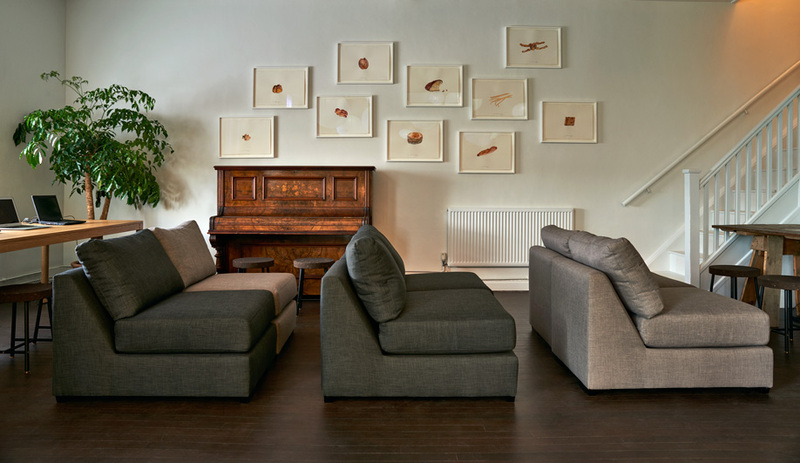 These furnishings are set against a bright, neutral palette replete with natural wood. A large cluster of paper lanterns brightens the upper reaches of the double-height space, and helps to impart a more intimate atmosphere. 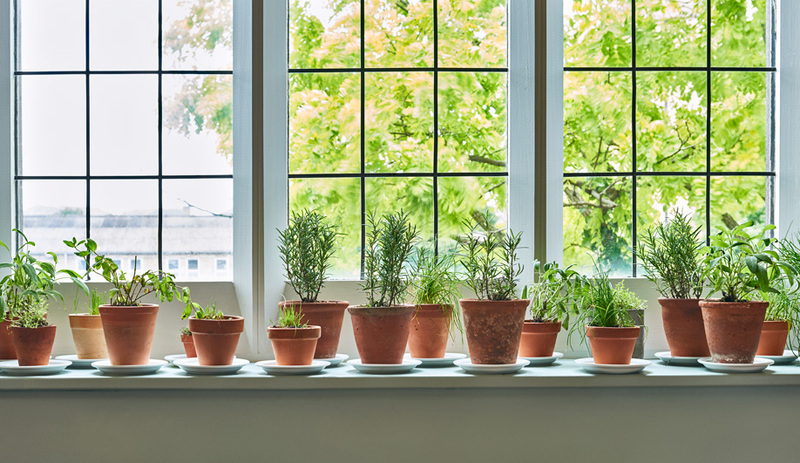 Along the periphery of the room, on the sideboards, stairways and windowsills, an assortment of plants in terracotta containers add a dash of colour and life. 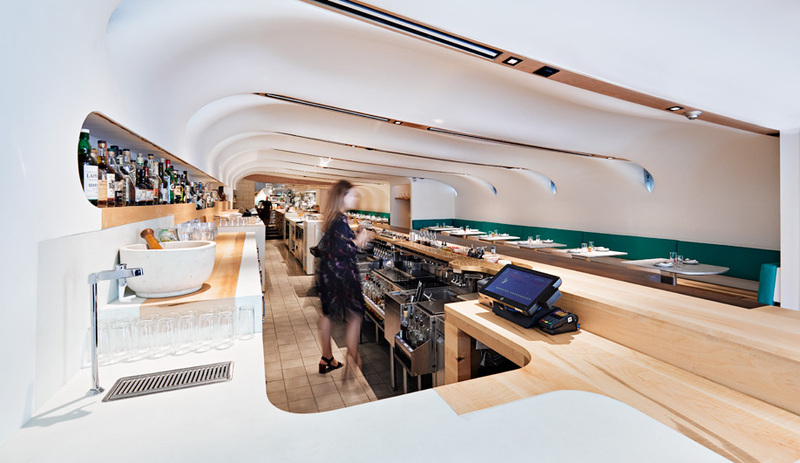 The refettorio opened at the beginning of June, timed to coincide with London Food Month, with a feast prepared extemporaneously by Bottura using 50 crates of surplus food; 60 guests enjoyed soup, pasta with breadcrumb pesto, and house-made ice cream. 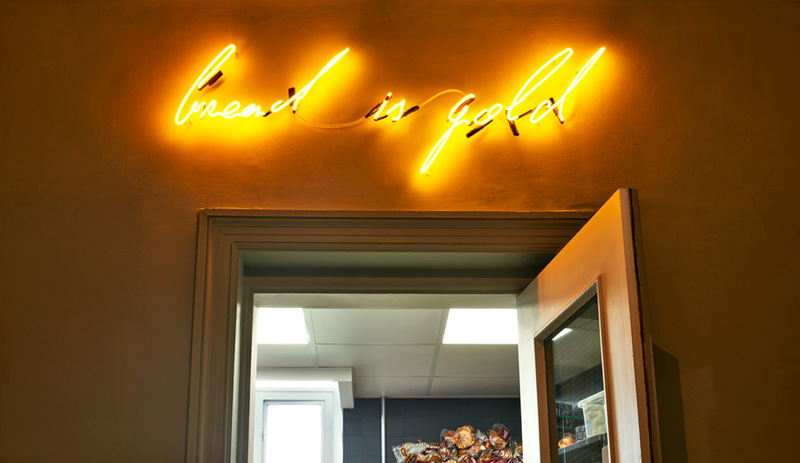 Throughout London Food Month, a run of celebrity guest chefs stopped by to contribute their skills — not only to provide guests with a delicious lunch, but also to help raise awareness of food surpluses and waste. The dining hall will continue to serve weekday lunches to those in need, and while it’s not open to the public, anyone who wants to see the space is encouraged to volunteer.